Ride the Thunder: A Vietnam War Story of Honor and Triumph authored by former Major Richard Botkin, USMC, is the Military-Writers.com Book of the Year. Former United States Marine Corps Major Richard Botkin “graduated from the University of Michigan's School of Business. He served from 1980 to 1995 on active and reserve duty as a Marine Corps infantry officer with units to include 2nd Battalion 7th Marines, 1st Reconnaissance Battalion, and 4th Force Reconnaissance Company. His understanding for Southeast Asia has been enhanced by the nine medical/dental mission trips he helped to organize and lead to Cambodia between 1998 and 2007, and four trips to Vietnam, including one with his main Vietnamese character Le Ba Binh, to specifically do research for Ride the Thunder. Richard Botkin currently lives with his family in northern California, where he is an investment advisor for a major brokerage firm.” Richard Botkin is the author of Ride the Thunder: A Vietnam War Story of Honor and Triumph. Gunnery Sergeant Nick Popaditch, United States Marine Corps (ret.) 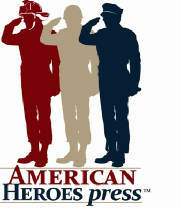 was awarded the Military-Writers.com 2009 Book of the Year for his book, Once a Marine. 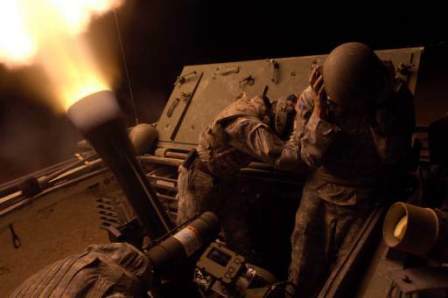 In his book, Once a Marine: An Iraq War Tank Commander’s Inspirational Memoir of Combat, Courage, and Recovery, Nick Popaditch describes how at first he “fights to get back to where he was in Iraq - in the cupola of an M1A1 main battle tank, leading Marines in combat at the point of the spear. As the seriousness and permanence of his disabilities become more evident, Nick Popaditch fights to remain in the Corps in any capacity, to help the brothers in arms he so aches to rejoin. Facing the inevitable following a medical retirement, he battles for rightful recognition and compensation for his permanent disabilities. Throughout his harrowing ordeal, Nick Popaditch fights to maintain his honor and loyalty, waging all these battles the same way - the Marine way. More than a book: A fun and entertaining journey through leadership that includes an interactive website to supplement knowledge gained from the book. Proven and Tested: Not an academic approach to leadership, but rather a road-tested guide that has been developed through 50-years of author experience. High Impact: Through the use of perspective, reflection, and knowledge, provides information that turns leadership potential into leadership practice. Ease of Application: Theory is reinforced with real-life experience, which results in accessible and practical tools leaders can put to use immediately. High Road Approach: Personal character and ethical beliefs are woven into each leadership approach, so leaders do the right thing for the right reasons. Uses Game of Poker: Rather than a dry approach that is all fact and no flavor, the game of poker is used as a lens through which to view leadership concepts.